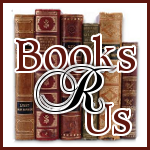 Ginger High- Books R Us: REVIEW OF FLIP FLOP WINES. REVIEW OF FLIP FLOP WINES. If you are lying by your pool or you just returned from work, it is nice to relax with a glass of wine. Flip Flop wines have a selection of wines that are affordable and taste good. I have always been a fan of any type of wine but my husband prefers red wines. 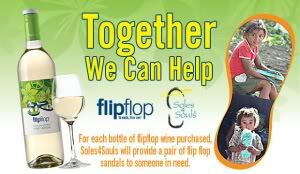 Flip Flop Wines was started in 2009 by David Winter a organic vegetable farmer who learned the art of growing grapes. He developed a line of wines that were exceptional in taste and selection. There are seven varieties of wines and each have their own distinct taste. I had the opportunity to try the Chardonnay and the Cabernet Sauvignon. They both are fantastic wines and priced right. This is a Medium-bodied, wine with pineapple, soft vanilla and a long lingering finish. It is dryer than the Reisling that that I had tried on my last review of the wines. It is served chilled and tastes great with Neapolitan pizza, mac & cheese or chicken Caesar salad. This is Full-bodied dry wine with blackberry fruit, dark cherries and a long, lingering finish. It is served room temperature and tastes great with steak, spinach ravioli and mushrooms. Since I am not a red wine drinker, I let my husband try the red wine. He was very impressed with the taste and he said that it was better than some of the more expensive wines that he had tried. The Chardonnay was a bit dry for me but I did enjoy it. I had the opportunity to try the Riesling and I prefer that wine because I like a sweeter wine. If you like a dry wine you will enjoy the Chardonnay. Flip Flop has seven varieties to choose from and my husband cannot wait to try the Merlot. It is economically priced at $7.00 a bottle and can be purchased through Underdog Wine Merchants and shipped right to your home. I was very impressed with the wine and I plan to purchase them in the future.